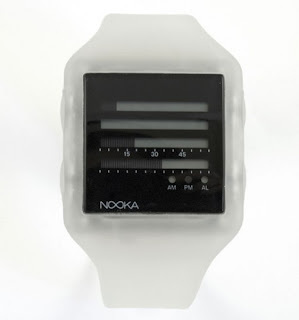 As part of its Spring 09 collection, Nooka introduces a brand-new model within the ZUB line of watches- the ZUB ZENH Clear 20. The Clear ZUB utilizes the already popular ZENH face style in black, accompanied by a band made entirely of translucent polyurethane rubber. This dual color scheme of the watch causes it to stand out in the ZUB line. 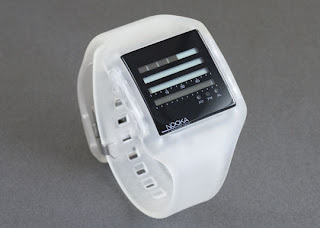 The watch will soon be available in the Nooka online store for $150 USD, and that's £103 in Pound Sterling.